What better place to spend a few hours this weekend than out in the garden? Better still, someone else's perfectly tended, gloriously blooming garden. As the National Garden Scheme holds its annual Festival Weekend from 2-3 June, hundreds of beautiful gardens across England and Wales will be opening their gates. In return for a small entrance fee, donated to the NGS's various beneficiary nursing charities, visitors get to enjoy the results of other keen gardeners' hard work – and have a cup of tea and a slice of cake! Take time out this weekend to smell the roses, admire billowing herbaceous borders, walled gardens, manicured lawns, wildflower meadows and well-trimmed topiary; there is at least one garden open in every county of England and Wales, and many more open on other weekends throughout the year. Here are some of our favourite NGS gardens open this weekend. Nevill Holt Hall, near Market Harborough, Leicestershire, is full of colour and texture at this time of year, with two walled gardens creating sheltered conditions for an array of classic border plants which spill onto the paths round the garden. Whitcombe House near Tewkesbury, is the archetypal English country cottage garden, with pastel coloured borders, roses and shrubs. Hunmaby Grange is a three-acre garden near the Yorkshire coastline, and has been created over 35 years, from an exposed open field. Hedges and fences now provide shelter for a series of gardens full of seasonal highlights. Barton Bendsih Hall in Norfolk is a traditional country estate garden set within 10 acres, and features an orchard, kitchen garden, walled herb and cut-flower garden and impressive glasshouse full of scented pelargoniums. Rockfield Park is in a glorious setting, in the heart of Monmouthshire, Gwent. The park dates back to the 17th century and features a rose garden, formal gardens, pergolas, ponds and a steep water garden leading down to the River Monnow. 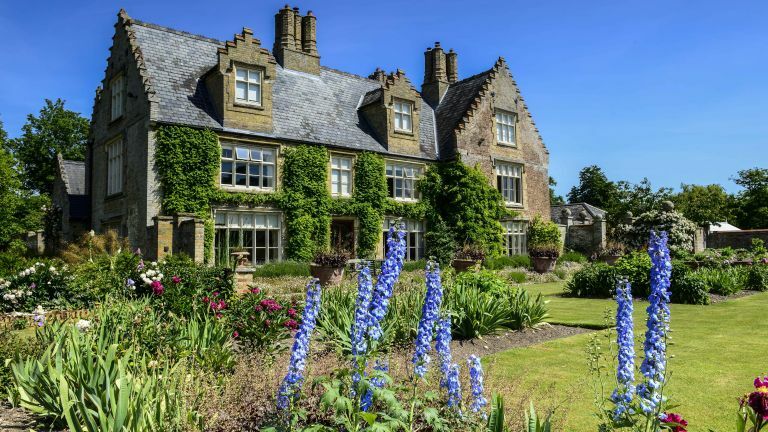 Cruckfield House near Shrewsbury, Shropshire, is a three-acre garden that includes a large lily pond, a romantic rose and peony walk and an ornamental kitchen and courtyard garden. Other highlights include an extensive clematis collection, rockery and topiary.